Wadia Institute of Himalayan Geology is extremely popular autonomous research Institute which is running under the Department of the science & Technology, Govt. of India. 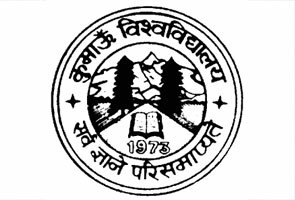 This institute was come into existence in June, 1968 and initially it had started its operation with two rooms in Delhi University but later on it was shifted to Dehradun during April, 1976. Earlier, the Wadia Institute of Himalayan Geology has reorganization as the Institute of Himalayan Geology, but later its name was changed into Wadia Institute of Himalayan Geology; this was only to keep the memory of its owner alive who had delivered immense role while establishing this institute. The institute had initialized its operation with very minimal infrastructure and resources but now it is named as global leader and center of excellence in Himalayan Geology. Nowadays institute has very strong environment, laboratory and infrastructural facility as well. Numbers of its staffs are increasing time to time; presently it has roll 61 scientists, 76 administration and 65 technical staffs those are delivering their best in order to make this institute for undertaking the superior level of research in the country. Tectonophysics lineaments using remote sensing techniques, Kinematic analysis of structures in rocks, experimental structural geology, neotectonics, regional geology and tectonic analysis, and active faults. Seismotectonics, Seismicity, palaeoseismology and gravity – magnetic studies. Petrology & Geochemistry Petrology and geochemistry of magmatic ( specifically granitoids and volcanics) and ore-microscopy, metamorphic rocks including geothermobarometry, and fluid inclusion, petrological data base, fission track dating, and application of computers in petrology. Lithogenesis- Biostratigraphy Ancient fluvial and marine processes, palaeoclimatic and tectonic studies, magnetostra- tigraphy. Vertebrate palaeontology, Invertebrate, palynology and micropalaeontology. Expertise in conodonts, ostracodes, foraminifera, bivalves, brachiopods, tracefossils and trilobite, early forms of life, algae and micro-vertebrates, stromatoloites. Earth Resources and Environment Landform analysis, Geomorphological processes, palaeoclimatic studies, landslides and glaciological, natural resources studies. 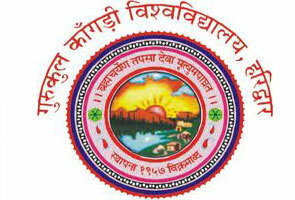 Apart from the research work, Consultancy and advisory services are also offered by the Wadia Institute of Himalayan Geology to various organizations for the reason of site selection for bridges and their foundation, road alignment, slope stability and control of landslides, geotechnical feasibility of major and minor hydel projects, site selection for deep tubewells, and related structures, seismotectonics of hydel projects and environmental feasibility of developmental projects, passenger and haulage ropeways, etc. 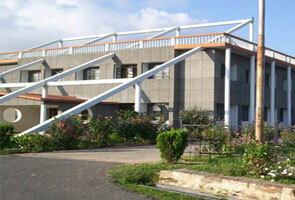 Today, this institute has very rich infrastructure and well equipped laboratories. You’ll find highly experienced specialists committed to provide world class level consultancy service associated with geotechnical, sedimentology, and economic geology, micropalaeontology, seismology and environment Concerns. Distance between Airport and institute is: 28 km. Distance between Railway Station and institute is: 6-7 km. This place is located very near to GMS Road, which is very much closer to Ballupur Chowk, Dehradun. Easy modes of transportation are available to reach this place such as Taxis, Shared Auto, Autos & State Buses.